Sugar runs in Jill's blood. It's a Kull family tradition to end each meal (yes, sometimes breakfast) with a homemade dessert, so at a very young age Jill learned to bake and sample her way through her mom's recipe box. Her desserts won her friends, jobs at well-known bakeries where she honed her craft, and a place on her mom's favorite list. 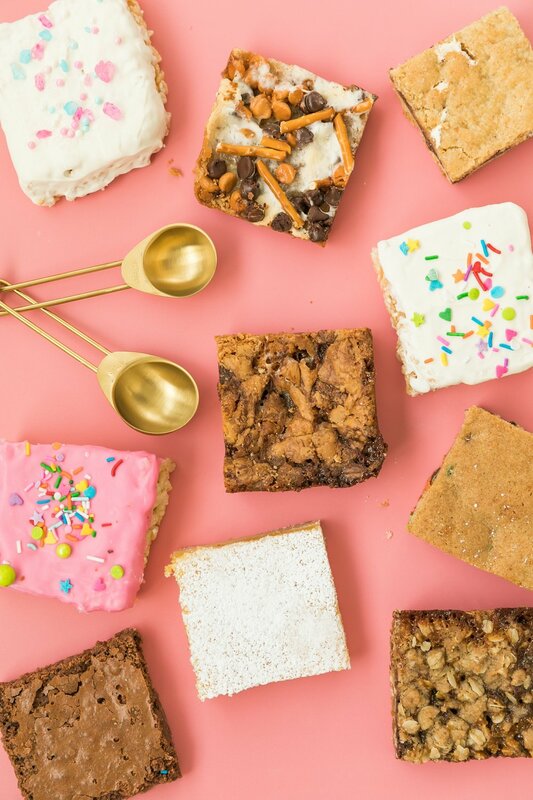 She spent time pursuing another passion, wedding planning, for several years, helping brides and grooms execute their dream weddings, when she realized she could combine her two favorite pastimes into one tidy dessert bar. Now, Jill works with couples and event planners to give weddings and events an extra "wow" factor with her unique backdrop designs and (always) homemade desserts. She lives and works in Denver where she can be found (you guessed it) baking and pinning inspiration late into the night. Oatmeal Butterscotch, like my grandma used to make. Boston Cream Pie, which you can argue is a pie, but I swear is a cake. Almond Turtle Bars, they're my picnic go to. I'm more of a cookie gal, but my brother-in-law bets me a blueberry pie anytime there's a game on TV so I'm thinking it's pretty good. Chocolate Cookie Dough, although I'm partial to any dessert that comes with its own carrying case.